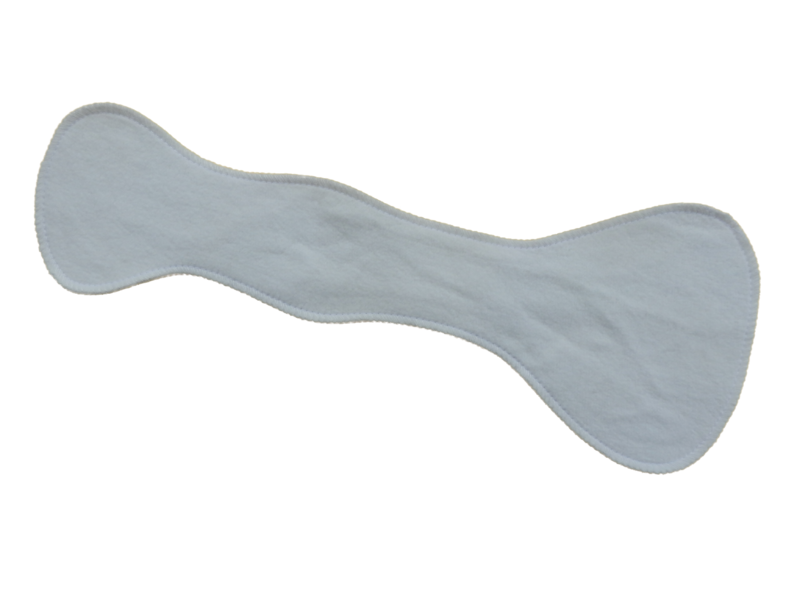 This is an extra insert made from two layers of organic cotton fleece for you to add to the usual four inner layers of your Mega pad. This insert is flared at both ends, just like the inner layers of the pad, but it doesn't have the wings. This gives you more protection in the central panel of the pad without making the wings more bulky. Simply stuff your Mega pad as needed. You probably won't need extras for menstrual flow, but they may be good for heavy incontinence customers.